Shake off winter chills and bring on the best of Free Brisbane with this list of July's free events and activities. After enjoying these highlights, check out part 2 of Free Brisbane's best events and activities for July. Be guided by performers and teachers from community groups and the Royal Ballet. Celebrate dance and the graceful, flowing steps of the ballerina as you learn the secrets to this expressive performance art at the Queensland Performing Arts Centre, Grey St, South Brisbane. Visit the QPAC website for details. 3D printing, the new technology transforming manufacturing industries, is now accessible to the home hobbyist. Be inspired to create your own 3D art at this exhibition of creations by sculptors, jewellers, potters, bookbinders, glassmakers and fibre artists hosted by the Royal Queensland Art Society at the Petrie Terrace Gallery, 162 Petrie Terrace. Visit the RQAS website for details. Learn the basics about Wordpress, the free online software to easily to create your own personal, charity, club or society website. This seminar, at the Chermside Library, 375 Hamilton Rd, is led by Luke Elin, a university lecturer, author and tech expert with decades of experience. Visit the Brisbane WP website to book. Free for over 50s, this guided session of Tai Chi, the ancient Chinese exercise, will calm the mind and strengthen the body. In the Esplanade Park, 237 Brisbane Corso, overlooking the Brisbane River, you'll improve your core stability and flexibility. Visit the Tai Chi for Health website for details. Learn new soccer skills with other girls and boys aged 2-10, making new friends while running, kicking, passing and scoring. After you've scored a goal, join the interactive story time with tales, rhymes and songs. Arrive at any time during the session on the northern Little Stanley Street Lawns on South Bank to have fun. Visit the Little Days Out website for details. Listen to some of the world's finest young musicians at this secondary school competition with jazz, symphony and string orchestras and choir ensembles. As the performers entertain, workshops and masterclasses will guide our next generation of musical talent. Hear the harmonies at the Queensland Conservatorium, Griffith University, 114 Grey Street, South Brisbane. Visit the Aspire Music Festival website for details. Jack Sim, the infamous "man in black" will share secret stories from the world of classic crime at the Bracken Ridge Library, 77 Bracken St, uncovered in his books, ghost and history tours, delving into the horrible histories throughout Brisbane, including Boggo Rd Gaol. Visit Jack Sim's website for details. At the Museum of Brisbane, 64 Adelaide St, hear Robert Andrew's story of his family history while viewing the artwork he created on the journey. Our Mutable Histories, a new exhibition, invites you to consider our multilayered identities and our changing perspectives on history as we grow and learn. Visit the Museum of Brisbane website for details. Get your skates on during the school holidays, gliding over the ice rink on Level 2 of the Indooroopilly Shopping Centre. 20-minute ice-skating sessions continue throughout the day, with DJs playing cool tunes on Thursday evenings and during the afternoon on weekends. Practise your best Torvill and Dean (or Steven Bradbury), while wearing Hawaiian leis. The sharpest dressed skaters will win a $500 gift voucher. Visit the Indooroopilly Shopping Centre website for details. Bring your appetite to Queensland's best food and wine festival, with the best of our state's cuisine served at the South Bank Parklands. Browse the marketplace of stalls with gourmet produce and delights, including handmade chocolate, fresh pressed olive oil, juicy vegetables bursting with colour and flavour, sweet berries and jams. Sample the tasting plates, beer and wine, while learning from celebrity chefs, listening to live music or watching your kids enjoy the playground activities. Visit the Regional Flavours website for details. Join the hip 'in' crowd at this boutique market place with dozens of stalls offering stylish, unique fashion, accessories and homewares. Kids will enjoy bouncing in the jumping castle or riding the electric animal rides after face painting and picking a balloon animal. The market is hosted at the Windsor Table Tennis Centre, 86 Green Terrace, Windsor. Visit the Mummy Tree Markets website for details. 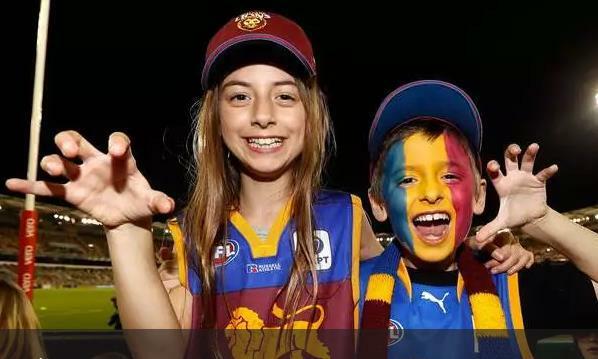 Cheer on the Brisbane Lions at their home game in the Gabba, Vulture St, Woolloongabba. 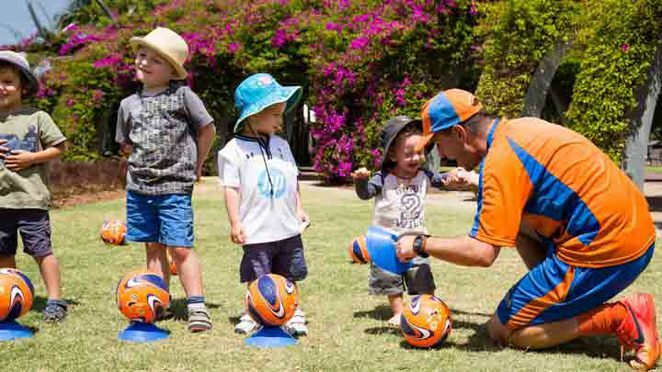 Kids entry is free to the sporting spectacle, with all the atmosphere and excitement of a live game of AFL. Visit the Lions website for details. Prep for weekend feasts with a trip north to 532 Beams Rd, Carseldine for regional produce, gourmet treats and art. Taste test fresh food ranging from artisan-baked bread, waffles and pies to stonefruit, strawberries and avocados with a backdrop of live music and games for the kids. Visit the Carseldine Farmers & Artisan Markets website for details. 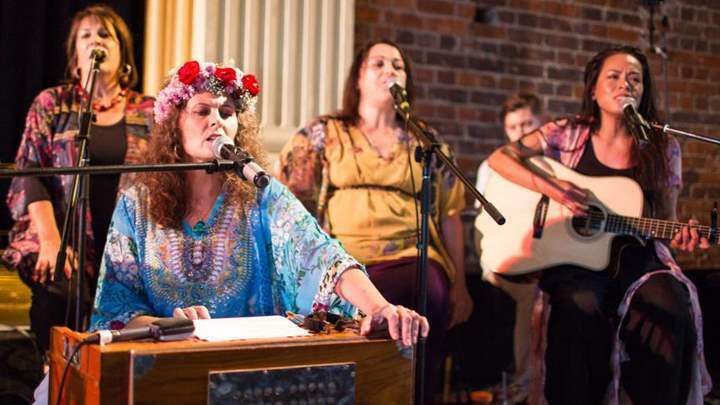 In the Mantra Room at 236 Montague Road, West End, the world's first exclusive Kirtan venue, experience the resonating rhythms of expressive music and transcendental chanting, creating an enchanting atmosphere for a special form of group meditation. On 2 July, special guests, the Soul Sistas, will perform beautiful four-part harmonies and simple, melodious tunes. Experience peaceful relaxation with ancient yoga practices guiding your breath, mind and body to feel bliss and peace during a hectic working week. Asmy sessions are hosted at 236 Montague Road, West End. Laugh your way into the weekend with Funny Fridays at the Brisbane Powerhouse. A quirky mix of Aussie comedians will hit you with their outlandish stories, silly one-liners and laugh-till-you-snort observations. On the last day of the month, chaos takes the stage with the ImproMafia using improvisational comedy instead of Mafia-inspired crime to tickle your funny bone. For more information, visit the Brisbane Powerhouse website. Studying is often solitary, with the walls inching closer as the pages turn. Burst free at the Mustard Seed on 861 Stanley Street, Woolloongabba for a few hours of study, meeting your student neighbours as you share free snacks and warm drinks while using the free Wi-Fi and printer to get the job done. All tertiary students welcome. Visit the Mustard Seed website for details. Looking for more free fun in Brisbane? Check out part 2 here. Is there another free activity or event you're looking forward to in June? Please let us know with a comment.